The First Reserve Hospital in Manila was the military’s largest and busiest facility. 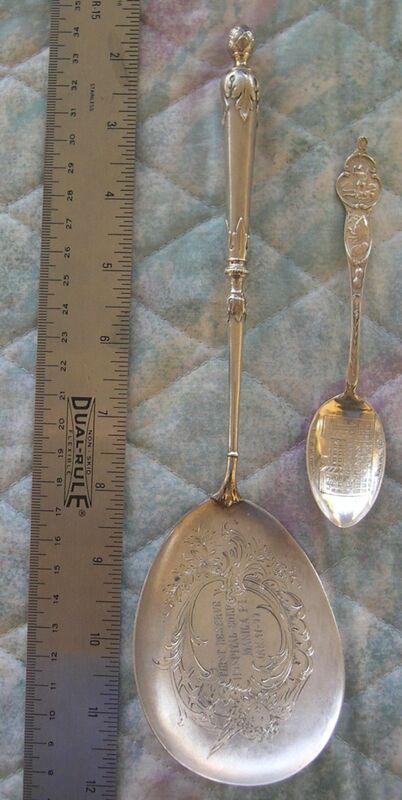 The marks indicate that the spoon itself was made in Germany of 800 silver by G.W. Haven't been able to trace him. 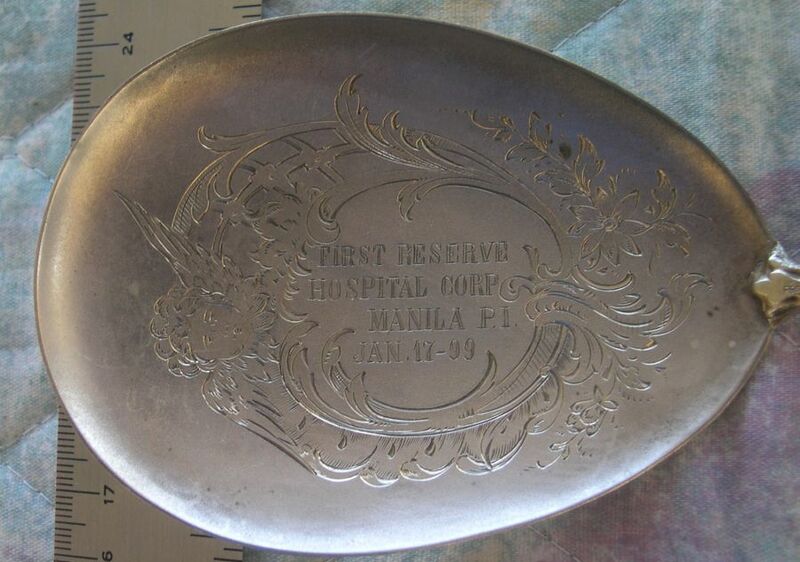 Engraved "First Reserve Hospital Corp Manila P.I. Jan. 17 -09"
or for some other event.